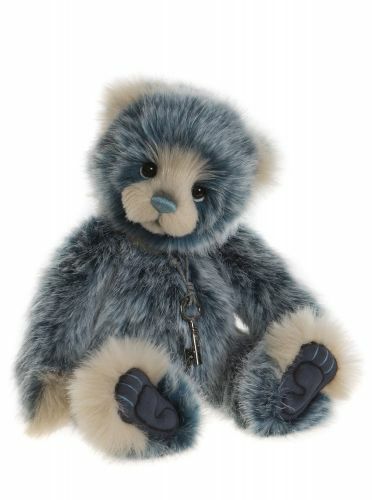 Muffin has been created in vibrant blueberry tipped and dairy cream coloured plush. This adorable little bear is fully jointed and has many of the iconic Charlie bear features from the sculptured paw pads, hand trimmed muzzle and added eye whites which create our signature “who me?” look. She wears a small shoestring necklace with key to your heart pendant.